In April, Autism Speaks kicks off World Autism Month, beginning with the United Nations-sanctioned World Autism Awareness Day on April 2. 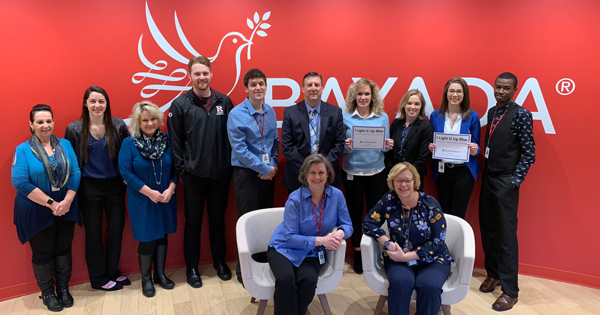 BAYADA employees from across the country showed their support by taking the pledge to “Light It Up Blue” to increase global understanding and acceptance of people with autism. Pictured from left to right are Practice President Behavioral Health Support Jeff Krepps; Behavior Services Manager Rachel Miller, LBA, BCBA; Area Director Eliza Lipp, LCSW; Associate Director Marchet Fullum; Chief Operating Officer Home Care Services Linda Siessel; and Minister Kumu Kekoa. The Lego wall is a signature feature of the center, along with brightly colored floor mats, a crash pad, a climbing structure, bean bag chairs, crayons, puzzles, books, balls, and blocks. 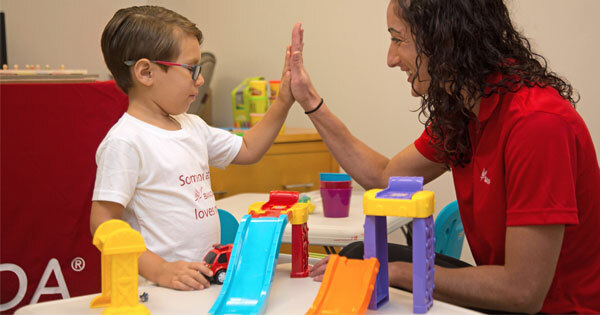 It’s all used as part of an evidence-based approach called applied behavior analysis (ABA) therapy to treat individuals with an autism spectrum disorder and related learning or social disorders. During the month of April, our nation shines a national spotlight on autism. Thousands of landmarks, buildings, homes, and communities light it up blue in recognition of people living with autism, and to promote education, awareness, and research into new treatment. 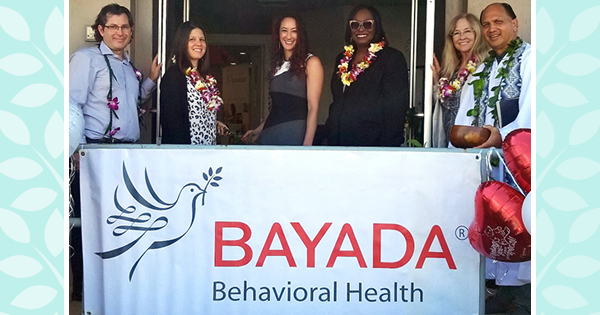 Through a partnership with the University of Hawai’i, BAYADA Home Care’s behavioral health services has received grant funding from the US Department of Health and Human Services to train and employ Registered Behavior Technicians™ (RBT®). The funding is designed to help recruit RBTs in rural and underserved areas. BAYADA Home Care is a 501c(3) non-profit organization dedicated to serving the home health care needs of the citizens of Hawai’i.